Gotta love the warm weather! At least I do. Finally! I switched up my recipe to make it Crock Pot friendly since I didn't feel like using the oven today. This is one of the easiest casseroles I have ever made. The whole family loved it, especially my 3 year old and he is a bit of a picky eater. I can't wait to make this one again soon! Arrange chicken in bottom of crock pot. Sprinkle with dry ranch seasoning and chili powder. Add in the rotel. Cover and cook on low for 3-4 hours. During the last 30 minutes of cooking shred chicken and stir in the sour cream and ranch dressing. Continue cooking. To assemble casserole: Lay one cup crushed tortilla chips on the bottom of the casserole dish. Add chicken mixture, remaining tortilla chips and top with shredded cheese. Broil about 3-4 minutes or until cheese is melted. Enjoy! This looks so yummy. Got to give it a try! 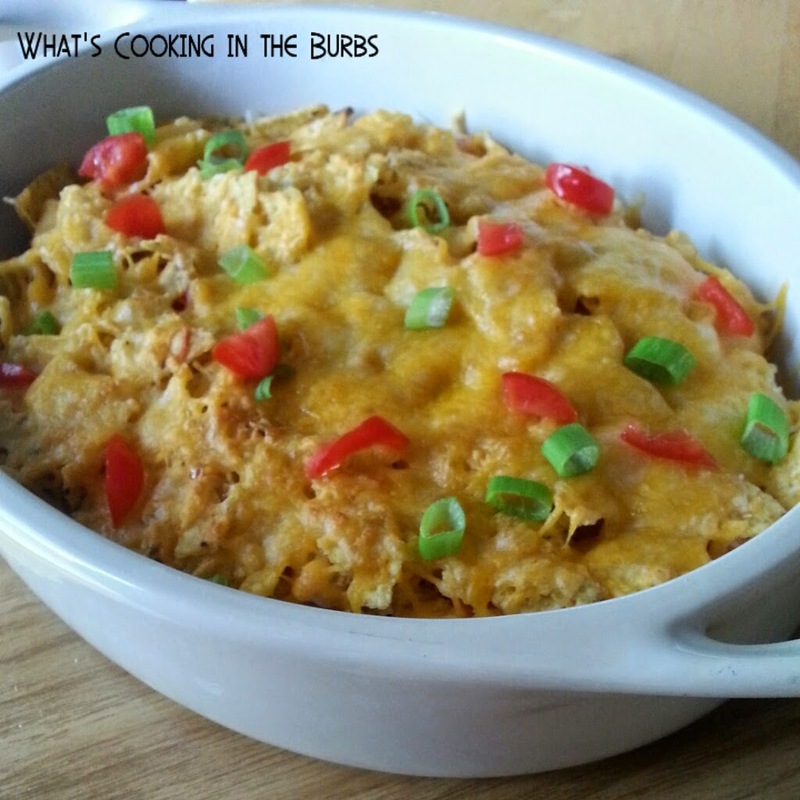 We will just love your Ranch chicken Taco Casserole, I am making this one very soon! Have a wonderful Memorial Day Weekend and thanks so much for sharing with Full Plate Thursday.